(Lindenwold, NJ) – Crews will be performing an emergency culvert replacement and drainage upgrades on Wiltsey’s Mill Road (North 3rd Street) in Winslow Township beginning Monday, April 15. 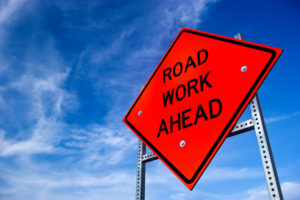 The project is expected to take approximately two weeks to complete, during which time Wiltsey’s Mill Road will be closed between Lexington Avenue and Old Forks Road. Crews will be active Monday through Friday between 7 a.m. and 3:30 p.m., during which time the entire roadway will be closed. Winslow Township Police will be on site to direct motorists along a posted detour route utilizing Route 30 and Old Forks Road. This project is expected to be completed by April 29. Scheduling and project timing is dependent on weather and may be adjusted due to unforeseen events.